*There are no holes or dents on the goggles. *The lens dose have smudges from time of use. *This will be an excellent addition to your wardrobe. 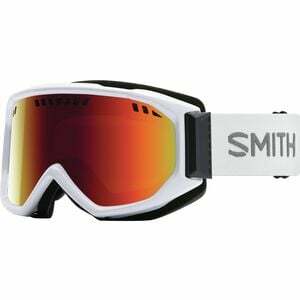 There's a lot to see out thereâ€”rocks, lift towers, small children, snow guns, porcupinesâ€”so it's best not to take the "There's probably nothing in my way" approach; instead, try the crystal clarity and serious comfort of the Smith Scope Goggles. The dual Carbonic-X lenses have TLT optics to mirror the shape of your eyes for precise vision, and an Airflow ventilation system to keep you fog-free even on soggy days. With tons of lens and strap choices, you can dial in your look, and the easy helmet compatibility of the Scope means you won't have to hang your brain out to dry just to get goggles that look sick and perform just as well.